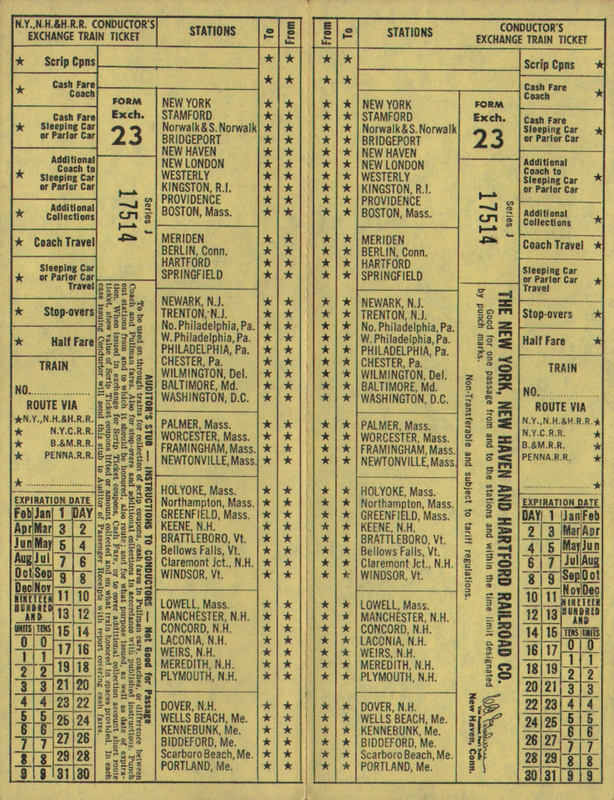 Description New York, New Haven & Hartford (N.Y.,N.H.&H.) Railroad Unused Form Exch. 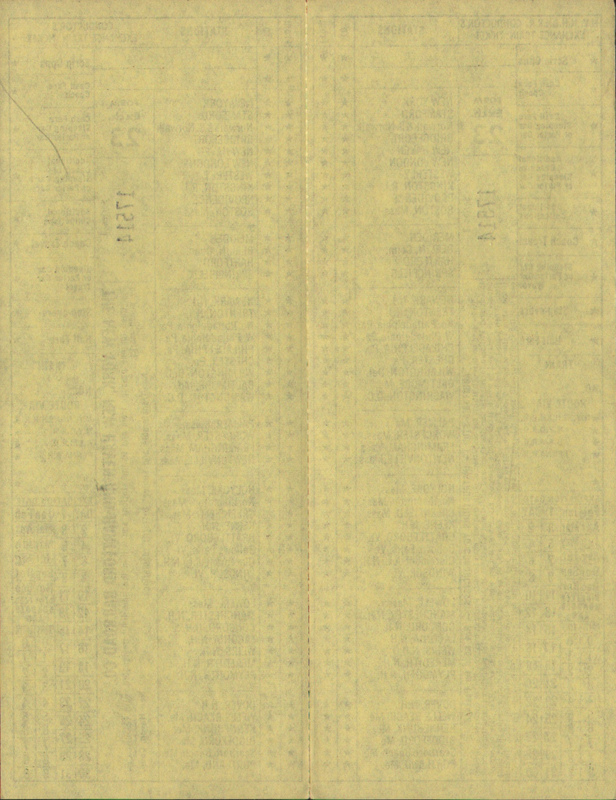 23 Series J Conductor's Train Exchange Ticket, Ticket Number 17514. 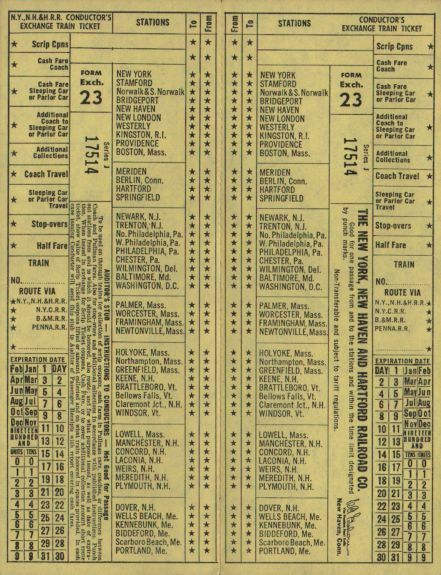 This form allowed a conductor to sell an exchange ticket on board the train or let a passenger upgrade from a coach fare to a parlor car or sleeping car.